Awesome First Time Buyer's Or Investment Property. 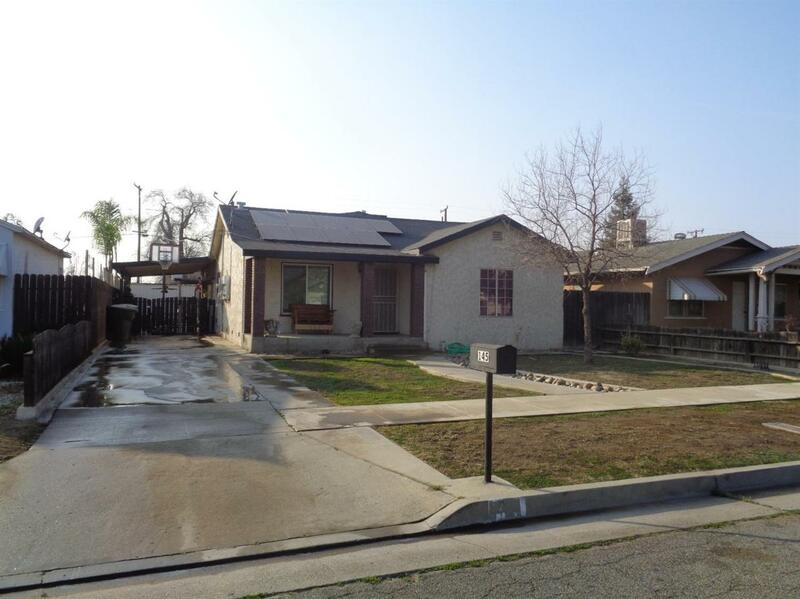 This Property Is Located Close To Town, Shopping And Medical Services Near By. Lot's Of Square Foot Age Here. It Features A Four Bedroom, Two An Half Bath Home With Living Room Area That Offer's Hardwood Floors, Updated Kitchen With Oak Stain Cabinet's, Center Bar Island, Tile Floors And Counter's. Pantry Closet, Indoor Laundry Room. Formal Dining Room With Tile Floor, Ceiling Fans Through-Out The Home. Nice Size Bedrooms, Open Floor Plan. Covered Large Patio Setting Great For Entertaining, Fire Pit, R.V Parking, Lot's of Concrete. Detached Four Car Garage/Shop For Extra Parking Or Ones Own Interest. Solar System Is Installed On Home. Please Take The Time Today To Set Your Own Personal Viewing Appointment. Listing provided courtesy of Darrel Lemon of Pimentel Realty Group.